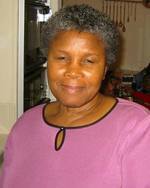 Naomi P.Nhiwatiwa, 70, residing in South Bend, Indiana, USA, passed away on Thursday, April 12, 2012 in her home. She was the founder of Zerapath AIDS Orphanage in Harare, Zimbabwe. In her professional career she was a Director of the United Nations World Health Organization and the United Nations Children's Emergency Fund (UNICEF). She also served as a Minister in the government of Zimbabwe from 1980-1988. She was ZANU (PF) member of Parliament for Manicaland Province. Naomi was born on April 15, 1941 in Mutare, Zimbabwe, to Elijah and Catherine (Mukotekwa) Nhiwatiwa. She is survived her daughter, Iyabode (Jide) Ilawole of Woodland Hills, California; her son, Hakeem Oseni of Johannesburg, South Africa; and two grandchildren, Nyasha Ilawole and Zvaitwa Ilawole. Also surviving are six of her siblings, Meshack Nhiwatiwa, Verna Gunduza, Leah Chakawa, Mary Mbiriri and Martha Nhiwatiwa (Twins) all of Zimbabwe and Shadreck Nhiwatiwa of the USA. Naomi was preceded in death by her siblings, Mati Matilda Janda, Moffat Nhiwatiwa, Nessie Kapota, Cuthbert Nhiwatiwa, and Saul Nhiwatiwa. Funeral services celebrating the life of Naomi will be held at 10:00 a.m. Sunday, April 29, 2012 in the Seventh Day Adventist Church, 1936 E. Altgeld Street, South Bend, Indiana, USA. Pastor Throstur B. Thordarson will officiate. Visitation and viewing will begin at 9:00 a.m. Sunday in the church prior to the 10 a.m. service. Graveside services and burial will follow in Southlawn Cemetery, South Bend, Indiana, USA. Palmer Funeral Home-River Park is assisting the family with arrangements. Online condolences may be shared with the family at www.palmerfuneralhomes.com.